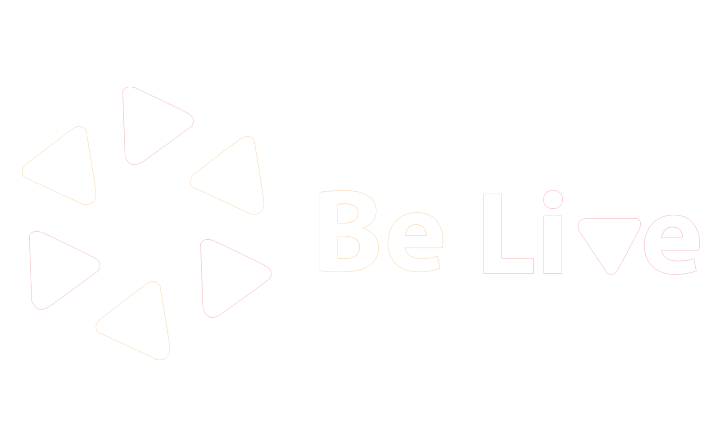 BeLive allows you to customize your show branding and you will be impressed how easy is it to take your show to a whole new level! First, you need to upload your logo. Click on a plus-button and choose the desired file from your computer/laptop. Make sure, you optimize your logo for the right dimensions: 150x150 transparent PNG. You can take a look how it looks like on the broadcast in the Preview window. Click on "Save Branding" to proceed if you're totally satisfied with your logo. Keep in mind, it's possible to use only one logo at once, and all the used items will be saved for your future broadcasts. Also, a logo has a fixed position (in the right upper corner), so you won't be able to move it. To delete your logo just press the X-button. Let's move forward to customizing your brand colors! Click on "Brand Colors" next to "Logo". Choose the Background and Text colors by entering a specific Hex code or by clicking on the color wheel. Check in the preview window how it will look like on your broadcast. Once your custom colors are set, click on "Save Branding" to proceed. All the used color combinations will be saved for your future broadcasts. However, you can remove it by pressing X-button. The last but not least step - adding your custom frame! Click on "Designed Frames" next to "Brand Colors". Here you can find some default frames to choose, or it's also possible to add your own one by clicking on a plus-button. Make sure, you optimize your frame for the right dimensions: 1280x720 transparent PNG. NOTE, if you don't see the video preview on the left after applying a specific frame, your broadcast will be hidden by the frame. To put the frame off, click on it again. Also, you will be able to switch the frame on/off during your livestream with the green toggle in the right upper corner. All the used frames will be saved for your future broadcasts. You can remove it by pressing X-button. 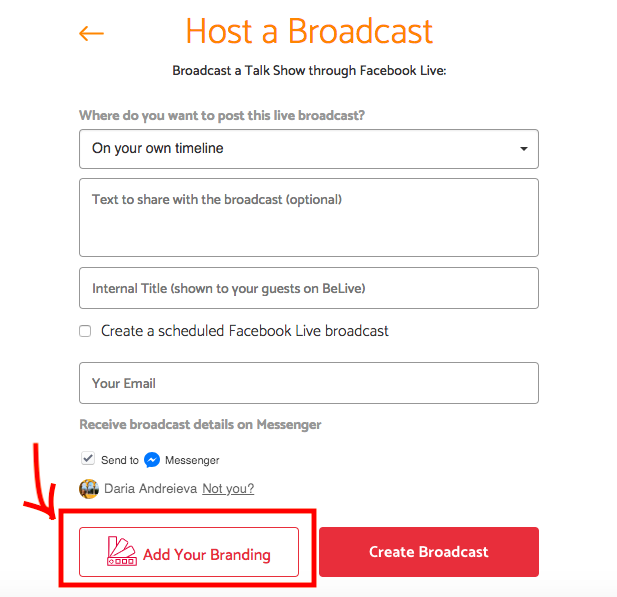 Rule to remember: Once you created the broadcast, it's not possible to edit your branding. To change any details you will need to create another broadcast. This simple process will surely help your video stand out.